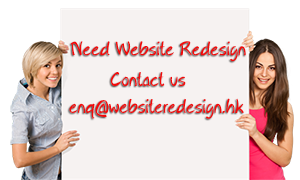 There are many web designs you can adapt to and for the most part they only affect the way your page looks and feels. However, website redesign involves adding new pages, new pop-ups, new content, or completely re-working your website from top to bottom. When you do that you need to track your URL data per page. This is important because changing one aspect could throw your whole SEO strategy off track. Changing a “Contact Us” page into a pop-up will radically alter what data is tracked and what is reflected on the new analytics page. Changing URLs for main pages can completely throw SEO off the rack. You’ll need to manipulate webmaster tools – such as those offered by Bing or Google – and alert the search engine you are making a transition. Conduct an SEO audit. You need to do this before you even draw the new design on a white board. You’ll want to see how your page ranks and traffic data is doing in regards to the contents, links (inbound and outbound), and design of your pages. In regards to page titles, you’ll need to remember that it can turn the page into two separate items even if all you did was change the page title. Your page titled “See Us Here” may have the exact same content as the newly titled “Check Us Out” but for the analytic tools they’ll be considered separate entities until you indicate that the latter carries the data of the prior. Yes, you’ll want to adapt responsive web designs, you’ll want to change the look and theme of your site, and maybe add professional widgets and tools. However, if the web redesign choices go against your SEO focus points then scrap them. There’s no point in having a pretty website if no one can find it on Google. Always prioritize function prior to fashion choices when redesigning the website. This also goes for content. Just because you can now place videos and other media content it doesn’t mean you should flood your pages with it. Sometimes text content is all you’ll need, so take the time to trim your pages of unnecessary filler content like Flash content. Register with a webmaster account because it gives you all the analytical data and tools to use prior to website redesign. You’ll want to give some time into the behind-the-scenes area of your site before slapping a new look on it.